Denny Hamlin #11 FedEx Toyota Camry-White could work here, but there is a bit too much blue and orange for it to work effectively. The designs are a bit much, but not too over done. This new scheme is not an improvement, nor is it worse, so I’ll give it the same B+ grade that the last scheme got. 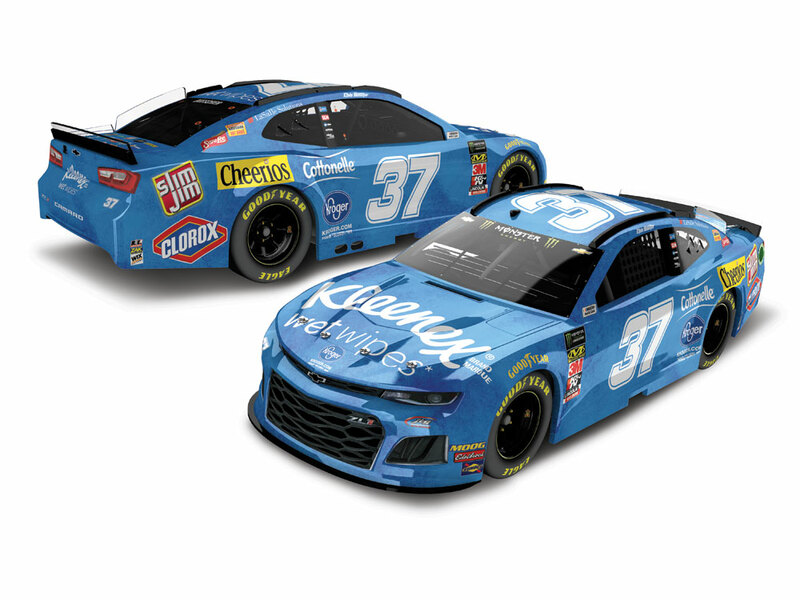 Chris Buescher #37 Kleenex Wet Wipes Chevy Camaro-Same scheme as last year, same B+ grade. Jamie McMurray #40 Advent Health Chevy Camaro-Too many bad colors, check. Colors that don’t work together, check. Pointlessly over designed, check. F grade, check. Daniel Suarez #41 Haas Automotion Ford Mustang-Red with a fade to black works. Red with a fade to black, gray and dark gray camouflage doesn’t work. Camouflage doesn’t work on race cars. It never has, and it never will. This change is so bad, it take s an A scheme down to an F.
Ryan Preece #47 Kroger Chevy Camaro-The patriotic design works well, and the color scheme is great, so I’m going to give this an A.
Matt DiBenedetto #95 Dumont Jets Toyota Camry-Cleaning up the side design a bit doesn’t really make any change warranting the changing of the grade. As such, I will give this the same B- it got last year.